Charlotte, these look delicious AND healthy! Yum! Looks delicious.I will have to try this recipe. I always have love bread of any kind. These look delicious. Thanks. Oh char...those look so good. I wish I could reach in and take one right now. This makes me really want to make some bran rolls. My grandmother just passed away a few weeks ago and this is her recipe except for the honey which I think I will add. Thanks for reminding me how great these rolls are. May the wonderful memories that you have of your grandmother bring you much comfort in the times ahead. I hope you enjoy the buns. these look just great! Can I use bran (such as I would use in bran muffins) or should it be a boxed bran cereal? I have used the bran that i use for muffins as well........what ever bran you have you can use it....i will amend the recipe. is there any way you cmake this recipe without eggs? you can make this recipe without eggs and not have any less quality of a bun. These look beautiful! Love that they are made with bran. These got perfect! I made two pans of rolls and one loaf with the recipe given. I had planned on using regular milled bran I had on hand, but at the last minute, decided to whirl up 'old' bran flakes no one was eating anymore. I think they gave the rolls a nutty/toasted flavor. Delicious. Thanks again. I will be trying these soon! They look wonderful and I love cooking with bran. Thanks for posting this! 'Love this blog...thanks for sharing these amazing recipes complete with clear directions and great pics...from a Mennonite girl who loves to cook! 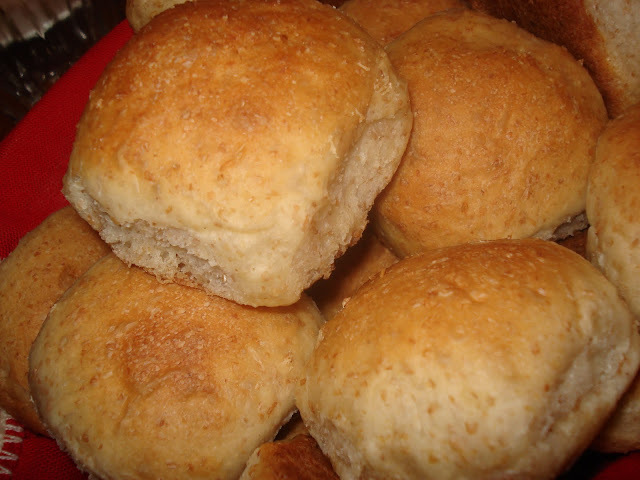 can dough be made in bread machine then made into rolls? I have never made the dough in a bread machine my self, but I don't see why not. Give it a try and let us know how that worked out for you. Oh my goodness....I made these today, and they are wonderful! I used crushed bran cereal, and substituted in 1/2 cup of whole wheat flour. Thank you for sharing such a great recipe; this one is a keeper!! Thank you Charlotte!! I had never made buns or bread before and these turned out great the first time!! Made me look like a real baker!! I gave them to my mother and mother-in-law, loving Mennonite women who have been baking for years, and they loved them!! I have made these buns a few times and each time they turn out perfect! thanks for the great recipe. I would like to use this for bread(have never baked bread before). Are there any changes I would have to make? Thanks! Laurel, I am glad to hear that you have had success with the buns. I personally have not made this into bread but I don't see why it wouldn't work. Maybe just reduce the fat by half...or leave it the way it is and try it. Let us know how it turned out if you do. Made these today and they turned out great! I decreased the honey and used organic stoneground whole wheat flour, unbleached flour and buckwheat flour. I will make these again.